News and insight from the Groovy ecosystem. Show notes are available on github. Ken Kousen (@kenkousen) and Jenn Strater (@codeJENNerator) talk about Greach 2019, Gradle 5.3, milestone releases of Grails and Micronaut, and other news from the #groovylang world. Happy New Year, everybody! Also, Happy New Groovy Podcast Season! So, we have a podcast in 2019. Does Groovy Calamari has an issue or a podcast episode?! Does it?! In this episode: Releases of Groovy, Gradle, and Geb, El Gradlissimo, Ken's newsletter shameless plug, and more! Ken Kousen @kenkousen talks to our old friend Peter Ledbrook @pledbrook about his work in the Groovy ecosystem and what he's been doing in his life and career. Groovy Podcast Ep 67 (S02E17) - Season Finale! Some news, but mostly Gradle 5! Also, season finale! Happy Holidays! Ken Kousen @kenkousen interviews Sergio del Amo @sdelamo about the upcoming Greach 2019 conference, his work at OCI on #grailsfw and #micronautfw, and his Groovy Calamari newsletter and podcast. Ken Kousen @kenkousen and Baruch Sadogursky @jbaruch discuss news and hot topics on Groovy, Grails, Micronaut, Gradle, Griffon and the related stuff. Ken Kousen @kenkousen and Baruch Sadogursky @jbaruch talk about the latest news from the Groovy programming language ecosystem. Topics include the new Gradle and Spock releases, blog posts, and YT videos from Gr8conf EU. 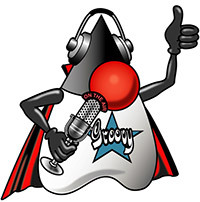 On this episode of the Groovy Podcast, @kenkousen and @jbaruch talk about new releases of Groovy and Gradle, new Grails Quickcasts, a welcome to the GR8DI interns, and more. Ken Kousen talks to Groovy core committer Paul King about Groovy 2.5 and the upcoming 3.0 versions. Live from Gr8Conf in Minneapolis, MN. Ken Kousen and Baruch Sadogursky talk about the new release of Groovy 2.5.1, as well as Paul King's roadmap for the future. More samples from Mr. Haki, more Grails Guides, more examples of Groovy in the marketplace, and just more. News and views from the Groovy programming language ecosystem, with your hosts Ken Kousen and Baruch Sadogursky. Topics include the Groovy 2.5.0, Griffon 2.15.0, and Gradle 4.8 releases, as well as the milestone release of Micronaut, and more. Special edition of the Groovy Podcast with Trisha Gee, Java Champion and Developer Advocate at JetBrains. Hosts Ken Kousen and Baruch Sadogursky discuss the latest versions of Groovy, Grails, and Gradle, as well as releases of Picocli, GMaven Plus, and H2GIS. Includes a "spirited" discussion of the "State of Java 2018" survey, upcoming Grails training events, and more. Groovy Podcast, hosted by Ken Kousen, featuring interviews with Sergio del Amo and Zachary Klein, both from OCI. We discuss the recent Greach 2018 conference in Madrid. Topics include the new Micronaut framework, the future of Grails, comparisons to Spring Boot and Ratpack, and more. News and views from the Groovy Programming language ecosystem. Ken Kousen and Baruch Sadogursky discuss recent released of Groovy, Grails, and Gradle; new CodeNarc features and the revival of Groovy Eclipse; the JUnit 5 vs Spock feature showdown; the Gr8DI mentorship program run by Jenn Strater, and more. Groovy Podcast S02E02, Ep 51, with Ken Kousen and Baruch Sadogursky. News and views from the Groovy Programming language ecosystem. Another Groovy Podcast from the G3 Summit in Austin, TX, this time with Paul King, one of the leaders of the Groovy project. Discuss the different versions and upcoming changes in Groovy 2.5, 2.6, and 3.0. Talk about Java 9 support, the Parrot parser, and miscellaneous new features like the Elvis assignment operator. Groovy Podcast Ep 50, live from the G3 Summit in Austin, TX. With Graeme Rocher, Jeff Brown, and Eric Helgeson. Grails is found at the newly-redesigned http://grails.org. The book "Practical Grails 3" is available at http://grails3book.com . News and views from the Groovy programming language ecosystem, with hosts Ken Kousen and Baruch Sadogursky. We talk about upcoming presentations at Gr8conf.us next week, as well as the latest releases of Gradle, Grails, and Groovy, and other blog posts and articles. Live from the Gradle Summit, with Luke Daley and Tim Yates! News and views from the Groovy programming language ecosystem. Speeding up Gradle builds; new newsletter by Andres Almiray; Griffon release; Slides from Gr8conf.eu; Spock book in print; Jexler; Groovy on Android; Jigsaw and Java 9. Groovy Podcast, Ep. 45, with Ken Kousen and Ryan Vanderwerf. Discuss new Groovy and Grails releases, Spock 1.1 release, new Geb site redesign, GQL: a Groovy lib from GraphQL, the Goodtimes library of Groovy enhancements for Java 8 Date/Time, the upcoming Gr8conf in Copenhagen, new features with Alexa and Google Home, and much more. Interviews with Schalk Cronjé and Sergio del Amo about the Greach conference; other news from Groovy/Grails/Gradle; and Baruch's Kotlin Puzzlers talk which sadly resulted in his lifetime ban from the Groovy Podcast. Groovy Podcast with a quick summary of the latest news from the Groovy, Grails, Gradle, and related worlds. Featuring an interview with Mark Vieira of Gradle, Inc. Topics included the Groovy 2.4.10 and Grails 3.2.8 releases, official docker images available for both Groovy and Gradle, composite build features in Gradle and IntelliJ, the new build cache in the upcoming Gradle 3.5, and the Gradle Enterprise system. Groovy Podcast Ep. 42. Links to new Grails 3.2.6 release and Gretty 1.4.1. New YouTube playlist for the Grails Quickcasts, and a video of the live broadcast of Using REACT with Grails 3 by Zak Klein. New free ebook ("Groovy Succinctly") now available. Also, a great interview with core committer Sergei Egorov about the new "macro methods" in the upcoming version of Groovy. Groovy Podcast Episode 41, with Ken Kousen and Baruch Sadogursky. Topics include new releases of Geb, Grails, and Groovy; new Grails 3 book in early access, blog post on Groovy mock objects; new Grails guides on creating a new application and testing a secured app with Spring Security; deploying a Ratpack app on Google App Engine Flex, and much more. Live from GR8Conf in New Delhi, India! Appearances by Puneet Behl, Søren Glasius, Burt Beckwith, Ken Kousen, and others, including Deepak Mittal, Naresha K.
News and views from the Groovy programming language ecosystem, hosted by Ken Kousen and Baruch Sadogursky. Discussions about the latest Grails release, plus the fact there are now over 200 Grails 3 plugins available. Notes about the new Ersatz mock HTTP server library, by the same people behind the HTTP Builder NG project. Also included are a list of G3 Summit talks, some with videos available, a video series on new features in IntelliJ 2016.3, and improvements to the sdkman system, including the new "outdated" command to update all your outdated resources. Then some comments about Grails guides, the new Parrot parser coming in Grails 3, the GradleTest plugin for testing Gradle plugins, and Guillaume Laforge's presentation on analyzing half a million Gradle build files at GitHub. Life from the G3 Summit in Ft. Lauderdale, FL, 30 Nov 2016! Interviews with Paul King, Guillaume Laforge, Ryan Vanderwerf, and Søren Glasius. We talk about the future of Groovy, the huge increase in downloads under the Apache foundation, new features in Grails, and the changes needed to deal with Java 9. News and views from the Groovy ecosystem. New Grails and Ratpack releases, and a release candidate for Gradle. Poll on JVM languages. Grails 3 quickcast and DSL blog post. Multiple blog posts by Sergio Del Amo and Mr. Haki. Plus a discount raffle for G3 Summit tickets. Groovy Podcast Ep. 35: News and views from around the Groovy ecosystem. Highlights: Grails 3.2 released with GORM 6.0. Other releases: Gradle 3.1, Ratpack 1.4.2, Griffon 2.8.0, and the first RC for Geb 1.0. Discussion with Dan Woods (@danveloper) about reactive programming in Ratpack, Grails 3, and the next version of the Spring Framework. Groovy podcast, live from the JavaOne conference in San Francisco, CA, September 2016. Interviews with Viktor Gamov, Cédric Champeau, and Andres Almiray, with a special appearance by El Groovissimo! Topics include presentations at JavaOne, including the visibility of Groovy at the conference, plus new developments in Gradle 3.1. News and views from the Groovy programming language ecosystem. Ken and Baruch talk about presentations from the recent GR8Conf events in Copenhagen and Minneapolis, as well as the Groovy talks at the upcoming JavaOne conference. Also cover the Gradle 3.0 release and Ratpack 1.4. Groovy Podcast, live from Gr8conf in Minneapolis, MN. Includes a panel discussion with multiple speakers and participants. Includes reviews of several talks, like Reactive Grails, Geb testing, Ratpack, and the infamous "Stupidly Impractical DSLs" featuring the Dane Cook Bot. Review of new releases and upcoming plans for Gradle 3, Grails 3.2, and Groovy. Also discuss featured talks at the Gradle Summit, including the Lint plugin and the Shadow plugin, as well as the new Kotlin capabilities. Includes a new Grails Quickcast on generating scaffolding with Angular, and articles about using React with Grails and Building Alexa Skills with Grails. Finally, a demo of the new Gradle build scan capabilities, as well as the upcoming composite builds. We talk to Luke Daley, Schalk Cronjé, and Marco Vermeulen, live at the Gradle Summit in Palo Alto, CA. Topics include future developments in Gradle, including the new scan capabilities and the Kotlin support. Live podcast from Gr8conf in Copenhagen, with Jochen Theodorou, Cédric Champeau, and Guillaume Laforge. Topics include talks at the conference, the future of Groovy, a bit about Gradle adopting Kotlin, and more. Ken talks to Cédric Champeau (@CedricChampeau) about his career in Groovy, including becoming a core committer, working at Pivotal, and now at Gradle, Inc. The discussion also includes the recent move by Gradle to support the Kotlin language in builds and plugins. Baruch talks to Ryan about integrating Groovy with hardware, including Amazon Echo and Alexa and Lego Mindstorms. Both will be the subject of talks he's giving at Gr8conf in Copenhagen. Baruch talks to Noam Tenne about his talks at the upcoming Gr8conf in Copenhagen. Topics include using Ratpack on Docker, as well as the latest edition of the Groovy Puzzlers. Discussion of HTTP Request library and Gradle lint plugin. Ratpack releases 1.3.0 and more. New Ratpack tutorial available. Good docs on JSON views in Grails, also highlighted in the OCI Grails team blog. Pointer to Grails Slack channel and sign-up form. Gradle newsletter available, and Gradle 2.13 has great performance improvements and the addition of composite builds. GPars web site now contains all docs. Profits from "Learning Ratpack" go to Gr8Ladies organization. The latest news and analysis from the #groovylang ecosystem. You can also view the news items in the show notes. All the latest news, gossip and analysis from the Groovy ecosystem. You can find the show notes on GitHub. News and views from the Groovy ecosystem, live from DevNexus in Atlanta, GA. Grails 3.1.1 and Gradle 2.11 releases and Ratpack 1.2.0-rc2. Learning Groovy book on LeanPub. Dan Woods may actually finish the Learning Ratpack book. Some talk about DevNexus presentations and meet the organizer. News and analysis from the Groovy ecosystem. For links, check out the show notes. We chat with Dan Woods post-Spring One 2GX about the conference, Ratpack, and his new book. For links, see our show notes. Latest news, analysis and gossip from the Groovy ecosystem. You can find the show notes on GitHub. News and views from the Groovy ecosystem, broadcast live from Gr8conf US in Minneapolis, MN. News and insight from the Groovy ecosystem. Check out the show notes for more information. News and discussion from the Groovy ecosystem. Show notes on GitHub. News and discussion from the Groovy ecosystem. Many thanks to Dan Woods for joining us at the end of the show to chat about Ratpack. Show notes on GitHub. The latest news and views from the Groovy programming language ecosystem. Show notes here. The latest news and analysis from the Groovy ecosystem. Full show notes on GitHub. We discuss new releases of Groovy, Gradle, Grails, Ratpack, and Grooscript. Full show notes here. The big news is Pivotal's announcement that they will no longer be sponsoring the Groovy and Grails projects as of the beginning of April. In this episode I talk to Guillaume Laforce and Graeme Rocher - the respective project leads - about the decision and what the future looks like for the two projects. * Groovy 2.4 is out - with Android support! Today, we have an interview with Baruch Sadogursky of JFrog to discuss Groovy, Gradle, Bintray and more. We bring you the usual news from the Groovy ecosystem. We bring you the usual news from the Groovy ecosystem plus we have an interview with two ladies behind the GR8 Ladies and GR8 Workshops initiatives. We bring you the usual news from the Groovy ecosystem plus we have an interview with the man behind the Asset Pipeline Grails plugin: David Estes. Everything and anything about the Groovy programming language.